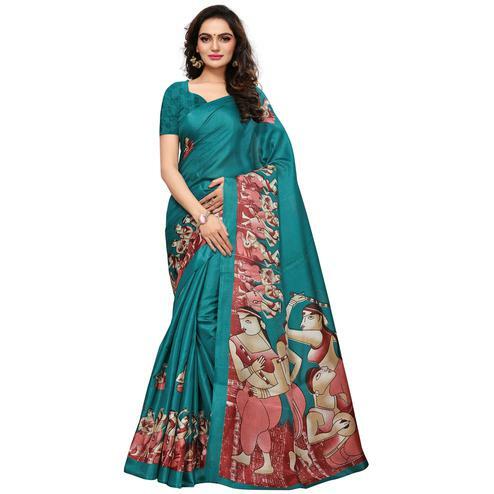 Make your everyday look more in fashion with this latest designed purple saree. 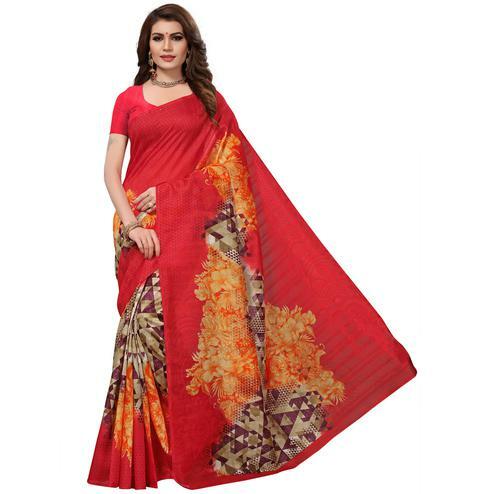 This saree made out of georgette fabric is detailed with floral & geometrical design print as shown. 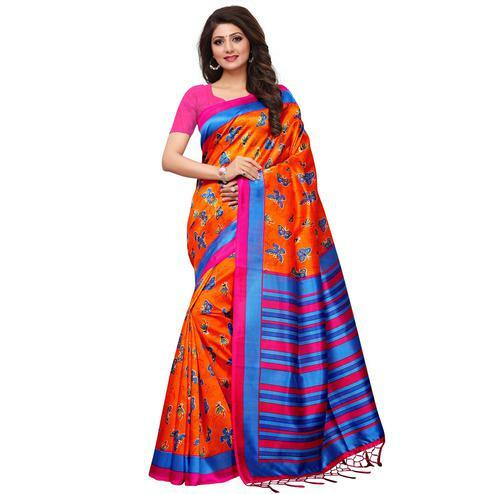 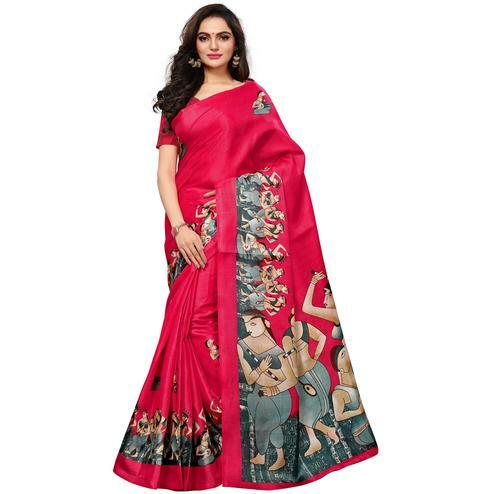 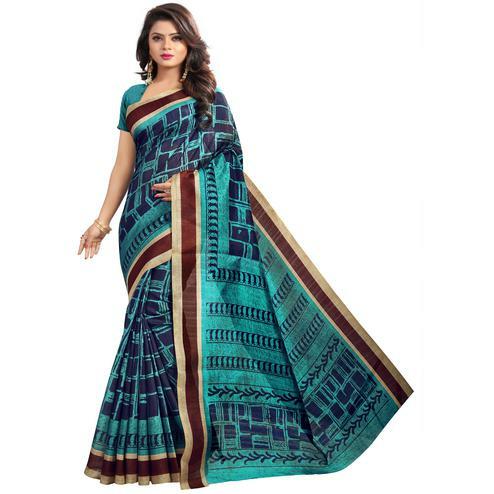 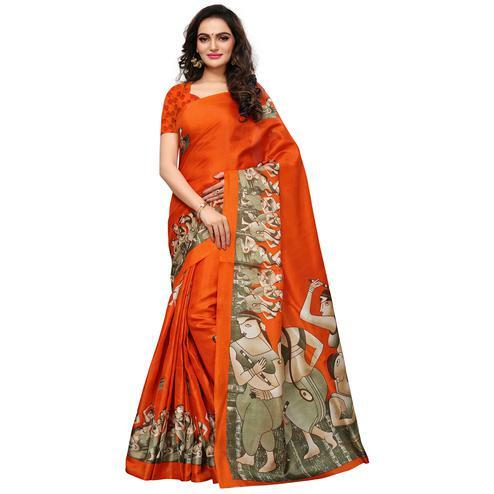 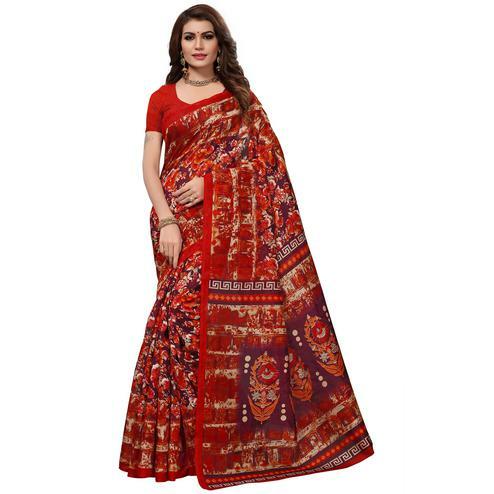 It comes along with matching fabric printed blouse piece attached at the end of the saree. 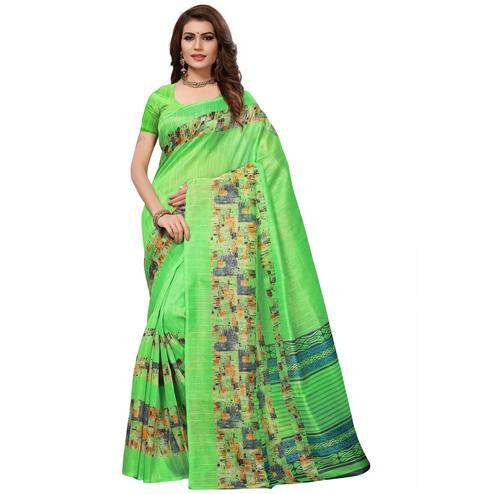 Ideal for casual & regular wear.